The Filipino actor with the most number of International awards (Cairo ’95, East Asia ’97, Brussels ’04), and nominations (Berlin ’83, Singapore ’97, Cairo ’99, Singapore ’99). The first Filipino actor to win an International acting award in a Major Film Festival (Cairo ’95 for the movie “The Flor Contemplacion Story”). The first and only Filipino actor to receive an acting nomination from a Top-Tier International Film Festival (Berlin ’83 for the movie “Himala”). The first Filipino actress to sit as juror in an International Film Festival (Hawaii ’96). The only Filipino and Asian actress (apart from China’s Gong Li) to be featured by HBO, an American cable network, in a documentary film about the lives and achievements of the world’s greatest actresses (1997). The Flor Contemplacion Story became the first Filipino movie to win the grand prize in a Major International Film Festival (Cairo ’95). The Flor Contemplacion Story grossed US$ 3.3 million in its domestic and international exhibitions, making it one of the highestgrossing films in Philippine history. The Filipino actor with the most “Best Performer” awards (5). The first Filipino actor ever to win the “Best Performer” award (1978). The only actress included in the prestigious “Centennial Honor for the Arts” given by the Cultural Center of the Philippines (1999). The first actress to be honored with the “Ten Outstanding Women in the Nation’s Service” (TOWNS) award (1983). The youngest recipient of the “Lifetime Achievement Award” given by the Film Academy of the Philippines (1993). The only actor that won three successive best actress awards on Film Academy of the Philippines for years 1989,1990,1991. The only actor that has won seven MMFF best actress awards, thus dubbed as Film Fest Queen. Himala was the first and only Filipino film ever to qualify in the Competition Section of the Berlin International Film Festival (1983). Bona was cited as one of “The Best 100 Films in the World” by the Museum of Tolerance in Los Angeles, USA (1997). Chosen by Gawad Urian as Best Actress of the decade for 80’s and 90’s. Considered by people masses and critics and contemporaries as Philippine cinema’s greatest thespian and major icon of century. Named the Philippine’s Best Actress of All Time by S Magazine in 2006. One of the two highest paid actresses in the Philippines The Longest-reigning Box-office Queen and Dramatic Actress. The only Filipino actor who is both successful in movies and politics. The most awarded Filipino actor and politician ever, with 70 plus acting awards and countless public service awards. The only Filipino actor who is awarded the Honoris Causa, PhD degree in Humanities for her contributions to film and public service. The only Filipino actor who has two best foreign language picture entries for Oscar consideration (Anak and Dekada ’70). The only Actor with the highest grossing film as of 2000 for the movie Anak, only to be eclipsed by Ang Tanging Ina. The only Filipino actor who has won a best child actress trophy, a best supporting trophy and the most best actress awards. The only Filipino actor with the most Lifetime Achievement for Film given by the FAMAS, FAP, and twice from the CineManila International film festival. The first Filipino film practitioner awardee by the prestigious U.P. Gawad Plaridel in 2005, beating Mike De Leon and Eddie Romero in the final deliberation, and eliminating her chief rival in the first deliberation. The sole actress to be awarded by the First U.P. Diwata Awards by the U.P. Film Insitute for an exemplary acting career. The youngest recipient of the FAMAS Hall of Fame for winning best actress five times. The only actress with the most Circle of Excellence awards from the FAMAS. The only Filipino actor who is a Grand slam winner four times, a record, and the first Grand slam winner for a single performance, a record. The only Filipino Actor recipient of Body of Work Award from the defunct Let’s Talk Movies for her 1982 film output, including her grand slam movie Relasyon. The only actor who has two Golden Grand slams, for winning locally and internationally for Bata-bata (Brussels), a total of 7 awards and Dekada ’70 (CineManila), with a record 9 awards. The movie Bata-bata also won the Special Jury award and a best actress finalist nomination for Vilma at the 44th Asia-Pacific Film Festival in 1999. The movie Dekada ’70 also won the NETPAC special jury award at the 2003 CineManila Film Festival. The only Filipino actor who has a record nine acting awards for a single performance, 8 locally, including a grand slam, and one internationally, for Dekada ’70. The only Filipino actor who has a record 9 Urian trophies, the most Urian best actress trophies (8) and producer for 1978 best picture Pagputi ng Uwak. The only Filipino actor who has a record six PMPC Star best actress awards. The only actor who has won at the Urian three years in a row. The only actor with the most best picture awards at the Urian, seven in all, including Pagputi ng Uwak which she produced; the film also won best picture at the FAMAS. The first Filipino actor to be featured in the Time Magazine, for Burlesk Queen in 1977. She is the only actress who has worked with the following award-winning Filipino directors. Aside from Lino Brocka and Ishmael Bernal, Vilma was directed by Celso Ad Castillo (Burlesk Queen, Pagputi ng Uwak, Pagitim ng Tagak), Gil M. Portes (Miss X, Never Ever Say Goodbye), Danny Zialcita (Langis at Tubig, Karma, Gaano Kadalas ang Minsan, T-bird at Ako), Mike de Leon (Sister Stella L), Marilou Diaz Abaya (Alyas Baby Tsina, Minsan Pa Nating Hagkan ang Nakaraan), Laurice Guillen (Kapag Langit ang Humatol, Ipagpatawad Mo, Dolzura Cortez Story), Maryo J. de los Reyes (Tagos ng Dugo, Sinungaling Mong Puso), Chito Roño (Ikaw Lamang, Bata, Bata Paano Ka Ginawa?, Dekada 70), Jose Javier Reyes (Nagiisang Bituin), Rory Quintos (Anak), by Joel Lamangan in Mano Po 3 and Olivia Lamasan (In My Life, Regalo). The only actress who played Darna four times – Lipad, Darna, Lipad and the Giants, Darna vs. the Planet woman, Darna at Ding. The only Filipino actress who won the first Pinoy Animation Awards for Darna. The only actor who was called Filipino Cinematic Diva by Variety Magazine. Sole winner of the first U.P. Diwata Award for Film. The only actress cited by the U.P. Film Institute as the Premier Actress of the Philippines. Child star Vilma co-starred in the 1967 Hollywood-produced war-action-drama movie made for television ’The Longest Hundred Miles’. It also starred Americans Doug McClure, Katharine Ross, Ricardo Montalban, and Filipino veteran actors Vic Silayan, Ronald Remy and Berting Labra. 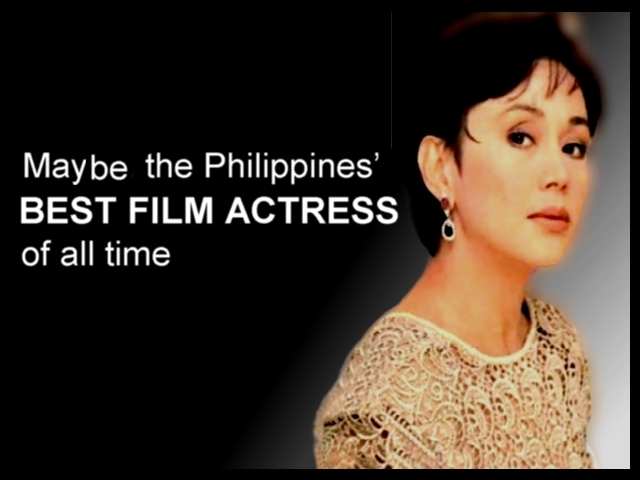 Chosen by Gawad Urian as Best Actress of the decade for 80’s and 90’s. The first best actress winner as chosen by her peers (FAP) for the movie Relasyon in 1983. 2004 – PMPC Star Dekada Award (Body of Works). 2005 Lifetime Centennial Feminist Award. 2005 Gawad Suri Award for Exemplary Film Practitioner and Public Servant. Declared the Actress-Politician of the Year – PEN. Declared the All-Time Favorite Actress – Guillermo Memorial Foundation. In Ricky Lo’s documented article on 8/19/99, (Vilma Santos, Armida Siguion-Reyna, Jurors in Chicago Intl. Film Festival), the Chicago Filmfest bigwigs have described Vilma as “the Meryl Streep of the Philippines” in the invitation. Respected journalist and Manunuri member Butch Francisco confirms the moniker in his 11/3/05 article My Favorite Vilma Santos Films: “With Dekada ’70, I dare say that, yes, she has finally become the equivalent of Meryl Streep of Philippine cinema.” (see Meryl Streep AFI citation for Meryl Streep). Vilma Santos’ movies competed at the Venice Film Festival in 1985 (Sister Stella L), Brussels (Bata-bata) in 1999, Asia-Pacific Film Festival, 1999 and Dekada ’70, 2003 at the CineManila Film Festival. Dekada 70 was exhibited in Cannes and Brussels International Film Festival (not the independent film festival where both Nora and Vilma won). Meryl Streep and Vilma Santos – a comparison – To be called the Meryl Streep of the Philippines is an honor and a responsibility for Vilma Santos, as Ms. Sreep is the U.S’ most decorated and versatile actress, just like Ate Vi. For perspective, here are Ms. Streep’s citation as honoree of the AFI Life Achievement Award and Ms. Santos’ citation as the U.P. Gawad Plaridel and U.P Diwata awardee for film. These citations alone prove that Meryl Streep is the America’s Greatest Actress and Vilma Santos is the Philippines Best Actress of All Time. The Achievements of Ms. Meryl Streep – The trustees of the American Film Institute have selected Meryl Streep to receive AFI’s 32nd Life Achievement Award. Meryl Streep is like no other. She’s authentic yet ethereal. Self-possessed yet vulnerable. Intellectual yet instinctive. And she deftly combines these disparate qualities onscreen in a way that has made her a cinematic icon. Meryl Streep has presence, resonating with both audiences and critics for the past 26 years. Beginning with THE DEER HUNTER in 1978-just her second film-Streep has been nominated for 13 Academy Awards, more than any other actor in history. She was named Best Supporting Actress for KRAMER VS. KRAMER in 1980 and Best Actress for SOPHIE’S CHOICE in 1983. No matter the character, Streep’s work is suffused with dignity and decency. She makes us believe. Which is no small thing, considering most actors find it difficult to separate their public persona from their onscreen portrayals. But Meryl Streep is not like most other actors. Her sense of self and understanding of those she is portraying result in realistic characters, regardless of their nationalities, ethnicities or physicalities. The breadth of her talent seems limitless. No matter what the challenge, Streep commits fully, serving as the anchor in each of her films. She sings (SILKWOOD, IRONWEED, POSTCARDS FROM THE EDGE), dances (DEATH BECOMES HER), even plays violin (MUSIC OF THE HEART). And these extraordinary abilities are matched by her astounding facility for dialects. From Polish (SOPHIE’S CHOICE) to Australian (A CRY IN THE DARK) to Danish (OUT OF AFRICA), Streep’s flawless vocal transformations imbue each role with a wealth of knowledge and experience, an innate understanding of life’s foibles, blessings and mysteries. While making it all look effortless. Yet she calls this gift the “auto mechanics” of her craft, preferring to focus on the complete person rather than on any one characteristic. Streep’s most challenging role-as wife and mother-informs her career choices, both geographically and emotionally. Early in her career, she insisted she’d never give up theater, her first love. But being home for dinner and schoolwork with her four children is a top priority. So the stage must wait. That maternal instinct is apparent onscreen as well. While the mothers she plays may not always be perfect, she brings a humanity to even the most troubled relationships. We’re both repelled by and understanding of her decision to leave her little boy in KRAMER VS. KRAMER. We see the fierce love lying just beneath the surface as she battles with her rebellious teenage son in MARVIN’S ROOM. And, we respect her decision to live with a philandering husbandand accept the scorn of her daughter-in order to keep her family together in ONE TRUE THING. An outspoken advocate for women, Streep is active in Equality Now, working for women’s human rights around the world. She also fights for equal pay, in her own profession as well as in public education-an arena she knows well, since her children have gone on location with her to Africa, England, Australia, Texas, California, New York and Connecticut. And she continues to take on new artistic challenges. In 2002, she starred in both THE HOURS and ADAPTATION, earning an Oscar nomination for the latter. Earlier this year, she played four different characters in HBO’s ANGELS IN AMERICA, including her first male role, an aged rabbi. American cinema has been graced by the presence of Meryl Streep. With a poise and eloquence all her own, Streep has continued to astonish audiences with her range of characters. Because of her unparalleled talent and integrity, the American Film Institute is honored to present Meryl Streep with AFI’s 32nd Life Achievement Award. Gawad Plaridel – Vilma outgrew her hysterical acting through the years – This article will prove that Vilma is a better actress than Nora in terms of range and versatility which the late Charito Solis explained in her choice of Vilma as the better actress than Nora. Whereas before Vilma was identified with hysterical acting and Nora the subdued one, the tables have turned to Vilma’s favor, as she grew as an actress. This is also, I believe what actress Elizabeth Oropesa meant when she said that Vilma is a better actress than Nora because she felt that Nora seemed to get stuck somewhere, she did not grow with her acting style. Here’s a reprint of my article. Nestor Torre, Mario Bautista, Ricky Lo. Butch Francisco, What do these four journalists have in common? They are all household names in Philippine media. Educated, respected, credible and outstanding in what they do best: chroniclers/ historians of the Philippine entertainment industry. Except for Lo, Torre, Bautista and Francisco are once upon a time Manunuri members who sat through long hours of movie viewing, criticism, debating, and selection/votation of the creme de la crème in movies. The youngest in the above dream team of tabloid writers, and possibly still active as a Manunuri member, Butch Francisco, like Nestor Torre and Mario Bautista calls a spade a spade especially in their critique of a movies’ strengths and weaknesses. All three are generous with their praise of both Vilma Santos and Nora Aunor, still the actresses to beat in the annual awards derbies and still the topic of heated debates amongst the rabid of cineastes who are as partisan as the Republicans and the Democrats of America’s political landscape. However, statistics show that the momentum of positive media mileage and attention is on Vilma Santos as the chasm between the two rivals is as far as the East is from the West, as Vilma triumphs in her dual careers as actress and politician. When Nora Aunor was chosen as a CCP Centennial Awardee in 1999 during former President Erap’s aborted term, especially after her back to back wins as international best actress for Flor Contemplacion and Bakit May Kahapon Pa, and her acclaimed performances on the legitimate stage, it seemed that the National Artist award was within Nora’s reach. At the prestigious academe-based U.P. Gawad Plaridel Award for Film, the precursor or litmus test of the National Artist Award, Vilma Santos was crowned the winner, and in less than a year was the lone actress winner for another U.P. System award for excellence in Film Acting, the Diwata Award. Talk of major twin bill triumphs for the two-time international best actress, at the height of her successful third term as a well-respected and admired Lipa city mayor. Flash forward to 2006 and still the Philippines’ “alleged” Highest Honor for an Artist eluded La Aunor, who was overlooked, along with fellow nominee Vilma Santos and others, in favor of the eventual winner, the late Fernando Poe, Jr. In between the periods of reversals of fortune for the revered actresses, there is Mr. Butch Francisco who, like Yin and Yang, does a balancing act of extolling the virtues of her equally favorite actresses, zeroing in on their best performances, at least in his mind. Butch’s appraisal of his favorite “best performances” by the Philippines’ elite group of fine actresses really narrows down, to, oh well who else, Vilma (where he listed 12 best performances) and Nora (where he chose the superstar’s 11 best)? One degree of separation. One movie more than Nora. One extra vote for Vilma to break the tie. Was this intentional or subconsciously unintentional? Interestingly, if Butch is asked to pick the winner of the National Artist for Film, or the better actress of the two, all things considered, such as being focused, committed, insightful and versatile, will he be the deciding or dissenting vote, in favor of Vilma? As a bonus, I attached Mr. Francisco’s “My Favorite Vilma Santos Films” as his tribute to her personal friend’s 52nd. birthday last year. Note the consistency of his pattern of choice of his Best Vilma Santos Performances List vis-a-vis My Favorite Vilma Santos Films List, which are really a set of twins. He includes Takbo, Vilma, Dali and Tag-ulan sa Tag-Araw in his Fave Films section, but not Ipagpatawad Mo, which is however mentioned among his Fave Best 12 Performances by Vilma Santos Section. Favorite Vilma Santos movies versus favorite Vilma Santos best performances. He really was able to draw the line as can be gleaned in the succeeding paragraphs. 1. Vilma Santos deserves all of her FOUR Grand Slams and EIGHT Urian trophies. Vilma Santos richly deserves her first grand slam win in Relasyon. Translation: Vilma deserves the Urian for Relasyon to Nora’s Himala, Sister Stella L. over ’Merika and Bulaklak and Ipagpatwad Mo over Pacita M. Note however that Nora has beaten Vilma once at the Urian for Andrea, over Vilma’s Kapag Langit ang Humatol. 2. Vilma Santos is also effective with her quiet/subdued/ understated performances such as seen in Pahiram ng Isang Umaga, Ipagpatawad Mo and Dekada ’70, erasing the myth that Vilma is another Charito Solis. 3. Vilma Santos is the equivalent of U.S.’ Meryl Streep. 4. Nora Aunor has tackled difficult roles without straining, especially with the use of her best weapon, her soulful eyes. 5. Both Vilma and Nora are committed artists, who have delivered powerful, sterling and well-deserved winning performances. 6. It took a while before Vilma was recognized as a serious actress but with her talent and dedication to her craft, she delivered some of the most sterling performances ever recorded in Philippine cinema. 7. I concur with the U,P. Gawad Plaridel committee (with a strong Manunuri vote) in choosing Vilma Santos as its first awardee for film acting. In print, he acknowledges that Nora Aunor: In Fe, Esperanza, Caridad – The Superstar was fortunate to have been directed by the master himself (Gerry de Leon) in an episode of this trilogy (Caridad). That early in her career, Aunor already gives an impressive performance, except that the public and the critics didn’t take her that seriously yet as an actress. Minsa’y Isang Gamu-gamo – Her “My brother is not a pig” dialogue (now a staple in many gay impersonators’ acts) may have been overly cinematic, but Aunor gives a consistently good performance in this daring film that exposes the abuses committed against Filipinos by the American bases in the country in those days. Tatlong Taong Walang Diyos – This is what I call a truly sterling performance. A very difficult role – as a war victim who suffers in the hands of fellow Filipinos at the end of the Japanese interlude – Aunor gives justice to this very memorable screen character. She won an Urian and a FAMAs for this film – and was she truly deserving of those acting trophies. Bona – As the loyal fan of a bit player (Phillip Salvador), Aunor’s performance here haunts the viewers even years after the exhibition of this film. She tied for Best Actress with Gina Alajar in the Gawad Urian the year (1980) Bona was released. 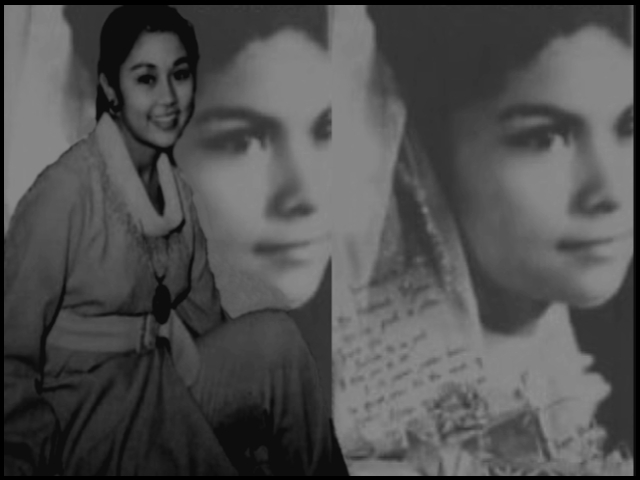 Himala – She could have won a grand-slam for playing the visionary Elsa in this Bernal masterpiece (she was voted Best Actress in the Metro Filmfest), but Vilma Santos edged her out as Best Actress of the Year for Relasyon. Bulaklak sa City Jail – Although she is surrounded by other great talents in this film (Celia Rodriguez, Perla Bautista, Mitch Valdes, Maritess Gutierrez and the late Zeneida Amador), Aunor doesn’t allow herself to get eclipsed even for a minute. Bilangin ang Bituin sa Langit – One of the most difficult roles given to a local actress – she ages from teener to that of an old lady and even plays another character in the same movie – Aunor is consistently focused on her characterization in this film and is rewarded with a whole slew of acting trophies for it. Andrea, Paano Ba ang Maging Isang Ina? – It was a tough competition among actresses that year (1990), but the Superstar showed them who was best by winning in the Metro Filmfest and in the Gawad Urian. The Flor Contemplacion Story – No matter how gay impersonators trivialize her “I did not kill anybody!” line, you cannot deny that Aunor is superb in this film that dramatizes the real-life story of a domestic helper accused of a crime and hanged in Singapore. Bakit May Kahapon Pa? – A truly powerful performance that helps conveys the strong socio-political statement of the film. Sidhi — She doesn’t speak a word here, but you feel her presence all over the film. It’s a difficult role, but Aunor is excellent as always and utilizes her greatest acting weapon: her pair of soulful eyes. In print, he acknowledges that Vilma Santos: In Trudis Liit – She is so convincing here as an abused child that when I see it now I tend to forget that this kid grew up to be one of the country’s greatest actresses, respected politician and personal friend. Ging – I think she delivers an even better performance in this film where she plays an exploited child performer. Burlesk Queen – This will always be the turning point of her career. Pakawalan Mo Ako – Her material here may be frowned on by the really serious film reviewers, but there’s no denying that she rises above the material and gives an inspired performance. Relasyon – She richly deserves her first grand-slam win for this film. Sister Stella L. – You see here how her character develops from a nun who is content with convent life to that of a concerned street parliamentarian. Adultery – An underrated performance that should have won for her another acting trophy. Sadly, it was released in the same year as Sister Stella L. and was totally eclipsed. Pahiram ng Isang Umaga – The fact that she agreed to do this film where she dies already deserves a lot of commendation. But Vilma being Vilma she gives another worthy performance that brought her the fourth of her eight Urian trophies. Ipagpatawad Mo – Another understated performance that only she can deliver. Dahil Mahal Kita (The Dolzura Cortez Story) – Another daring role (that of an AIDS victim) that gave her another well-deserved grand-slam win (her second). Bata, Bata, Paano Ka Ginawa? – A landmark performance in the history of Philippine Cinema. She earns her third grand-slam for this. Dekada ’70 – She remains quiet in most of the film, but her silence is so overpowering that you feel her presence all over. She is rightfully rewarded with a fourth round of grand-slam win. “You really are great. I know you deserve more.” – Fernando Poe, Jr. This entry was posted in ACHIEVEMENTS, ARTICLES and tagged ARTICLES, May be the Philippines’ best film actress of all time 2/3, Vilma Santos. Bookmark the permalink.